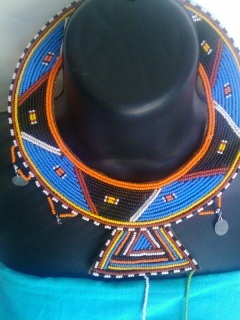 Our artisan friends in Kenya, Katana and Njogu have outdone themselves again. 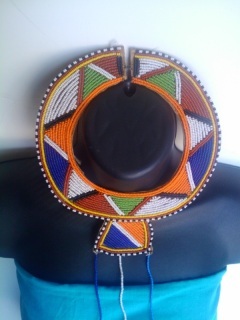 They have created for Mumbi's Designs a wide variety of beaded jewelry that is colorful, light and comes in different styles and sizes. 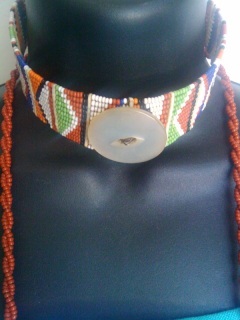 They complement the sandals and clothes that we are offering for spring and summer. We hope you enjoy them. Vibrant, trendy, and colorful. 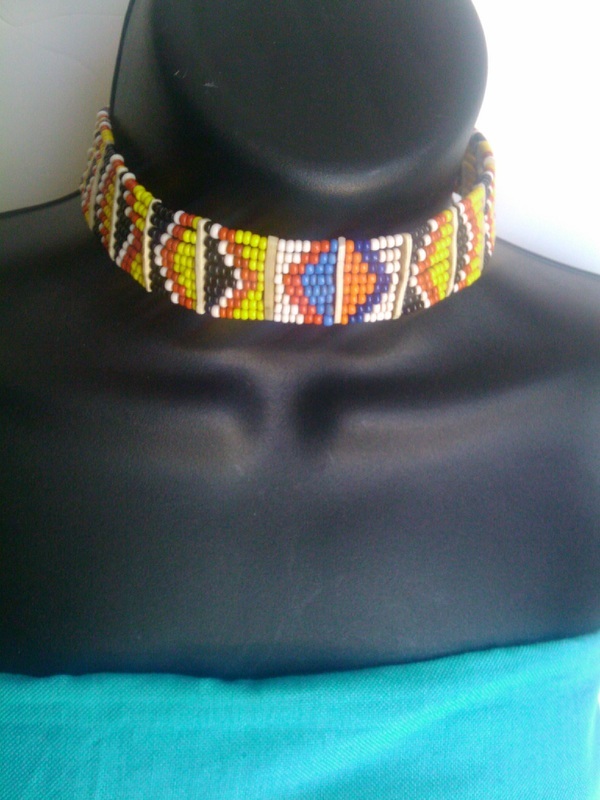 Made to fix comfortably around the neck, and handcrafted. 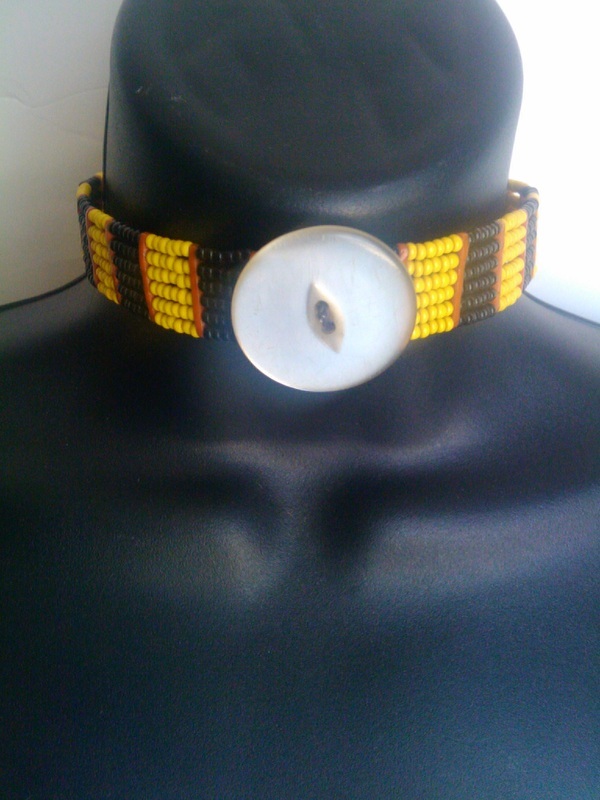 This black and yellow Masai choker is adorable, playful, and sweet as honey!